It’s always good to see hard work pay off as it did last week for Patrick Dearen, a Sterling City native and longtime writer friend who now lives in Midland. 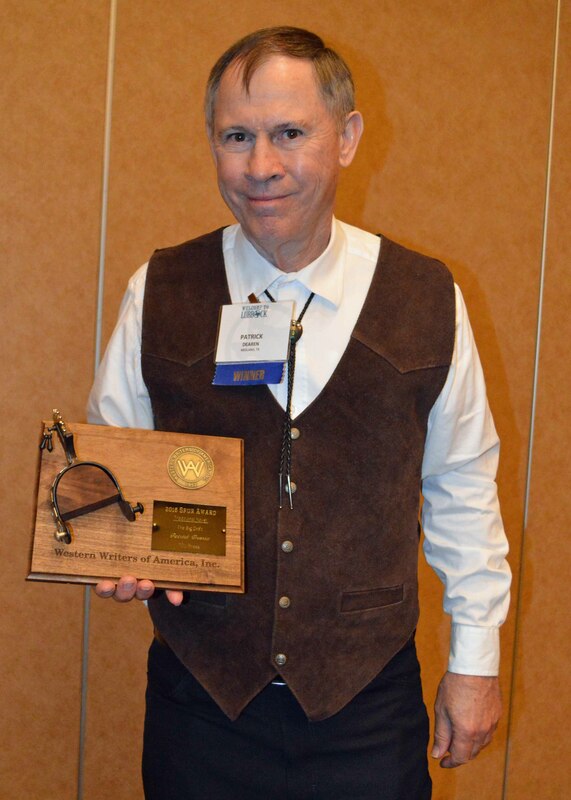 Patrick earned a Spur Award from Western Writers of America for Best Western Traditional Novel for his book, The Big Drift, which is set in West Texas during the great blizzard, cattle drift and roundup of 1884-85. What I enjoy about writing and history are the connections you can make, and Patrick certainly made some connections during his acceptance speech when he acknowledged the influence on his career of Leigh Brackett’s historical novel Follow the Free Wind about legendary mountain man and one-time slave Jim Beckwourth. Patrick’s acceptance was touching and gracious, highlighting the influence of a talented writer whose name is largely unrecognized, but whose works in science fiction and especially on the movie screen are known to millions. Brackett you see was the original screenwriter on The Empire Strikes Back, the second installment of the original Star Wars trilogy. Her other screenwriting credits include The Big Sleep (with William Faulkner), 1946; Rio Bravo, 1959; Hatari!, 1962; El Dorado, 1967; Rio Lobo, 1970; The Long Goodbye, 1973; and The Empire Strikes Back (with Lawrence Kasdan), 1980. The Empire Strikes Back is generally considered the best of the Star Wars movies, though Brackett’s contribution may have been lessened by her untimely death. Shortly after she delivered the Empire screenplay, she died. Lawrence Kasdan and George Lucas worked on the screenplay after her death, though only Kasdan received a writing credit with Brackett. Some even suggest that the character Yoda was her creation. So, the point is this: the reach of writers often extends long beyond their time on earth. Who knows? Perhaps Patrick Dearen’s work will inspire another Spur winner a half century from now.